Lessons and Carols Sunday, December 23 at 1 pm. John Hoover assists as Fr. Weiss blesses the Bibles. On Sunday, July 1st the Church of the Epiphany (Amherst) dedicated large print King James Version Bibles to be placed in the pews in memory of The Rev. William Crites. Virginia. He also faithfully served congregations in Clifton Forge, Blacksburg, and Charlottesville. After the Service, July 29 we are having a luncheon at the Briar Patch. Larry Raymond Jewell, DDS of Altavista, passed away on July 11, 2018, at Lynchburg General Hospital after several years of deteriorating health. He is survived by his wife, Lucinda Fayrene of the home, a daughter Michele "Micki" Kathleen Brumfield (Chris) of Altavista, a son, Charles Scott Jewell (Monica) of Burlington, NC, and a granddaughter, Alexandra "Andra" June (Daniel) Nassif of Roanoke. Dr. Jewell was born in Neodesha, KS to Charles Raymond and Ruth Bressie Jewell on March 16, 1937. Upon graduating from high school he entered the US Navy as a dental technician. He graduated from Washington University School of Dentistry in St. Louis, MO in 1966 and rejoined the Navy as a 2nd Lieutenant. He practiced dentistry for 50 years at the Naval Shipyard in Norfolk and Altavista until his retirement in 2016. He served the Altavista and surrounding community in many capacities as President of the Exchange Club, President of the Chamber of Commerce, Boy Scouts of America and Altavista Town Council. He also served on the Board of the Piedmont Council, the Board of Central Virginia Community College; he volunteered to teach dental students at the free dental clinic in Lynchburg and volunteered his dental services to the residents of Autumn Care in Altavista. He was a member of the Church of the Epiphany in Amherst from 1983 until his passing. He volunteered and served as usher and vestry member for many years. A graveside service will be held at Green Hill Cemetery, Altavista on Saturday, July 14, 2018, at 10:00 a.m. with military honors by American Legion Post 16. Following the service at 11:00 a.m., a memorial service will be held at Finch and Finch Chapel. A reception will immediately follow the second service at the Altavista Area YMCA. All family and friends are invited to attend all services and the reception. The family suggests that those wishing to make memorials consider St. Jude Children's Research Hospital, 501 St. Jude Place, Memphis, TN 38105 or Shriner's Hospital for Children, 2900 Rocky Point Drive, Tampa, FL 33607. 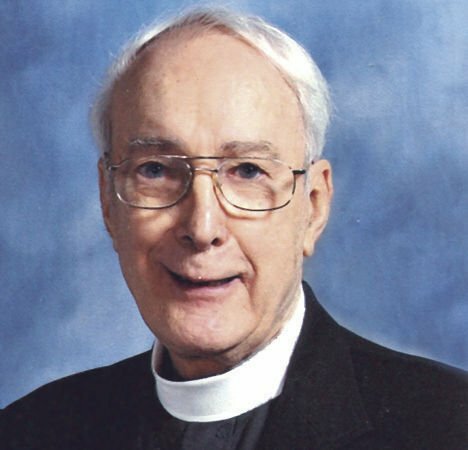 The Reverend William Charles Crites of Amherst, Va., formerly of Buena Vista, Va., went to be with his Lord Jesus on Friday, February 2, 2018. He was born in Dayton, Ohio to Emerson Harold Crites and Arabelle Freeman Crites. He is survived by three sons, Michael and wife, Germaine, Jim and wife, Becky, and David; and one daughter, Eileen Nicholson, and husband, Chris. He had five grandchildren and four great-grandchildren. He was preceded in death by his wife, Lois, in 2014; four sisters, Mary Grilliot, Carol Freeman, Ann Hollingsworth, and Gail Schlater; and one brother, Robert Crites. A memorial Celebration of Life will be held on Saturday, February 17, 2018, at 1 p.m., at Clifford Baptist Church, 635 Fletchers Level Road, Amherst VA 24521, with a reception immediately following. Inurnment will be held at Arlington National Cemetery at a later date. Memorial contributions may be made to your local hospice. The arrangments for Fr. Crites memorial service and reception will be at Clifford Baptist Church on Saturday, February 17, 2018, at 1 pm. Clifford Baptist Church 635 Fletchers Level Road on right. I have received confirmation from Fr. Crites daughter Eileen that they will have the service start at 1:00 PM on Saturday, February 17. Not sure where as soon as I know I will let everyone know. A request from Eileen: for those you want to send food please delay until the funeral service. Right now only Eileen and Michael are at the house and by midweek only Michael.Everything is greatly appreciated, whenever anything is done in memory if Fr. Crites. The family is still getting everything arranged hope to know more this week. With great sorrow that I inform you Fr. Crites passed away at 3:16 pm February 2. As soon are I get more information I will let everyone know. Eileen Fr. Crites daughter called a short while ago to give a update on her father. On Monday he saw the Dr. and discussed his results. The consensus was not to try any medication and slow down what he has been taking. As of yesterday, he is under hospice care. As long as he is not moving he is not hurting. The family asked No visitation or phone calls. Eileen is keeping me posted and I will pass it on. Please keep the whole family in your prayers. after the service with a potluck to follow the meeting. Don't forget It's time to turn your clocks back. Daylight Saving Time ends Sunday, Nov. 5 - meaning when the clock strikes 2 a.m., we'll be "falling back" an hour to 1 a.m.
Homer Caldwell said there would be a memorial for Phyllis, at their house Saturday, Nov. 11th., from 1 'til 4. The address is 235 Riverville Rd., Route 600, go right on Rt. 60-East. It's about a quarter of a mile, at the top of the hill, on the left. The Right Reverend Donald Lerow Bishop Ordinary will be at Epiphany for his annual visit on Sunday, September 10. Some of the ladies wish to do a potluck of difference salads that Sunday. If you would like to help here are some ideas vegetable salad, seafood salad, chicken salad, jello salad, Fruit salad, or anything you like. on Friday, July 7at 11 AM. Burial at Amherst Cemetery, with a reception at Epiphany to follow. not be on this list. The family will greet friends at the funeral home starting at 1:00 pm. and the service will begin at 2:00 pm. in the funeral home chapel. Interment will follow at the Stonewall Jackson Cemetery in Lexington. Please continue to keep the family in your prayers. On Sunday morning April 23 at 8 AM Ed Lewis passed away. Because we had to cancel church last Sunday. This Sunday, Jan. 15 we will celebrate Epiphany. The service will be Morning Prayer at 11 AM. Church services for tomorrow Jan. 8th. has been canceled due to the snow. Happy New Year and may God bless everyone. Annual Meeting will be Sunday, December 11, after the service with a potluck to follow.